You may be aware that Bangladesh is embarking on becoming a middle income country by 2021 and a developed one by 2041. Our Government is realizing this Vision in partnership with many stakeholders including the NGOs locals and internationals. We consider the International NGOs as important partners of our development efforts. And a large number of the partner NGO’s are founded and based in the Netherlands, ranging from large NGO’s to small initiatives of individuals interested to contribute to development and poverty alleviation. We also hope that this initiative will also complement our efforts to attain the SDGs. 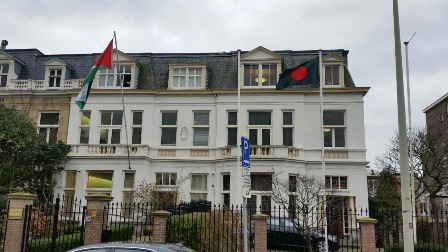 The Embassy of Bangladesh in The Hague would like to show its appreciation for your support and would like to welcome you at a reception at the Embassy in the Hague. 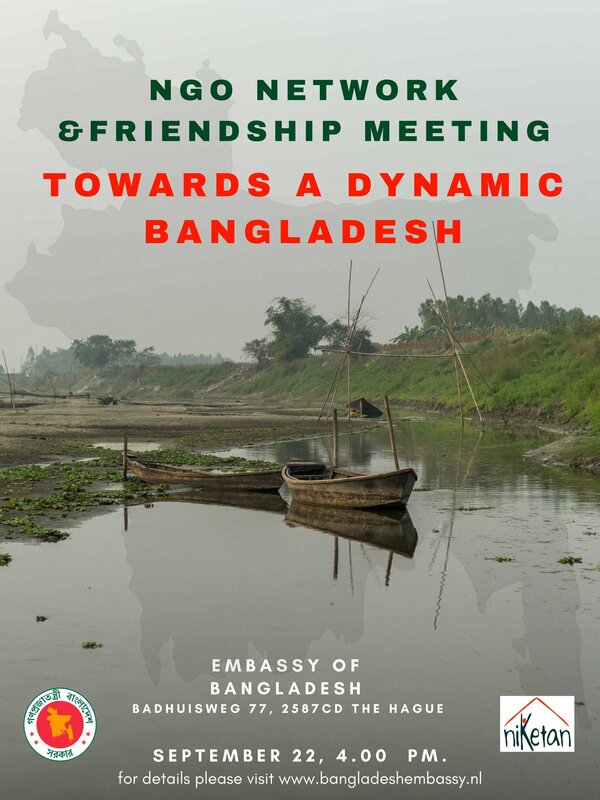 The Embassy of Bangladesh and Niketan welcome you at the Embassy at Badhuisweg 77, 2587CD The Hague on Friday 22 September from 16.00 pm. 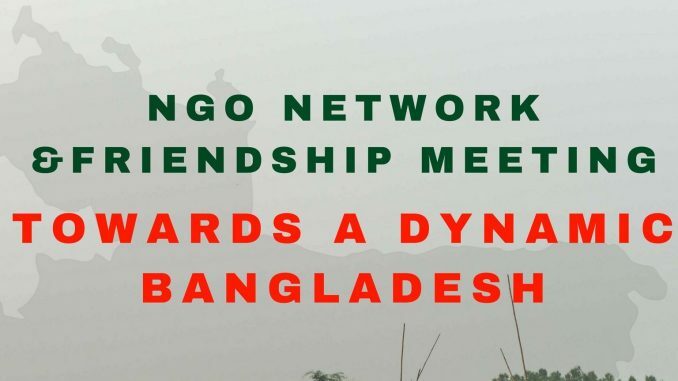 17.00 Introduction 2: A view in the new policy for Bangladesh and What to expect of the Netherlands Embassy; Mrs. Ella de Voogd, Previous First secretary SRHR, Education and Gender at the Embassy of the Netherlands in Dhaka, and Member of Advisory Board of Niketan. Please inform us by mail (mission.hague@mofa.gov.bd) by 19 September 2017 about your participation. if you cannot be present, please let us know whether you would like to be invited for future events like this. We look forward to welcome you in The Hague.